Spearfish is kicking off The Big Read with 6 events on Jan. 9! 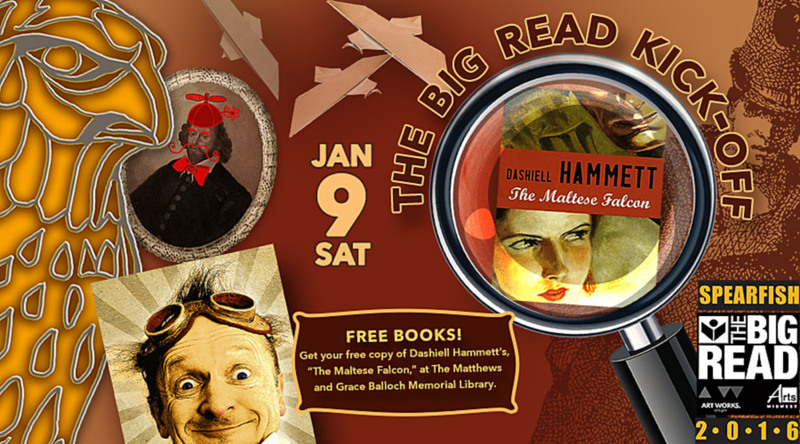 The Matthews Opera House and Arts Center and the City of Spearfish kick-off The Big Read celebration of The Maltese Falcon by Dashiell Hammett, with six events starting at 10 a.m. on Saturday, Jan. 9. The Big Read in Spearfish, SD is presented in partnership with The Matthews, Grace Balloch Memorial Library, Black Hills State University, Spearfish Zonta Club, South Dakota Arts Council, and Spearfish Foundation of Public Education. Along with these events, The Matthews and the Balloch Library will be distributing free copies of The Maltese Falcon. On Saturday, Dec. 5, The Matthews Opera House & Arts Center hosts two events during the Spearfish annual Holidazzle Parade of Lights and Christmas Stroll. Both events are free and open to the public. 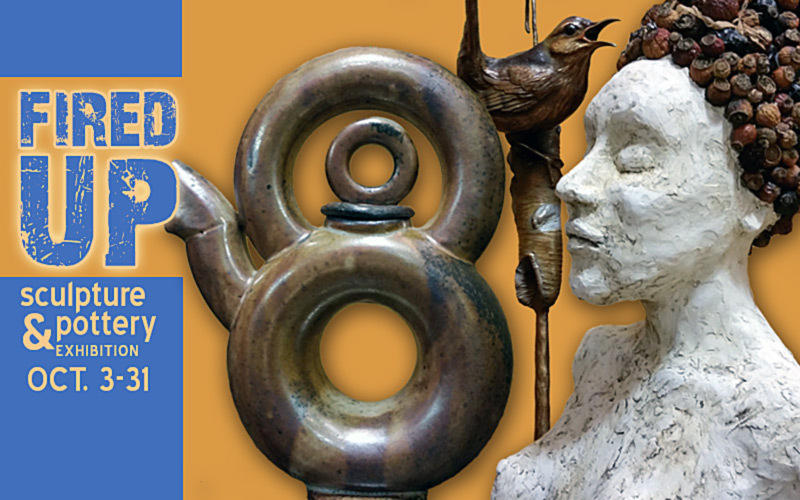 The art sale and open house will be 1 – 7:00 p.m. in the Art Gallery. 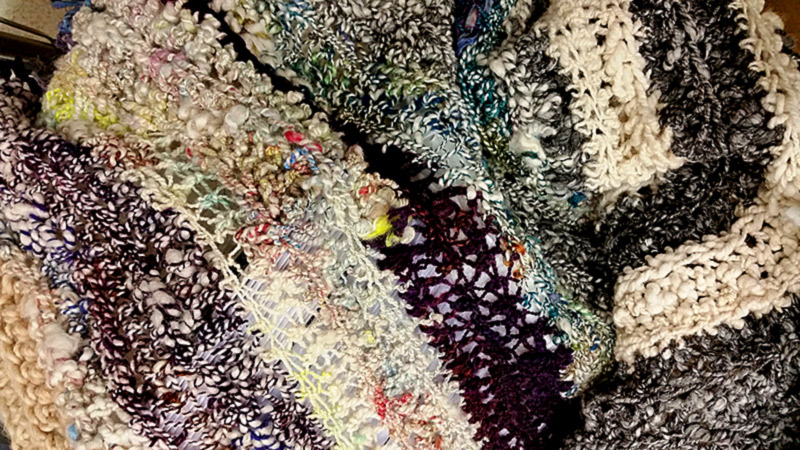 The holiday art show and sale runs Dec. 5-26. SANTA will be upstairs in the Opera House lobby from 1-4:00 p.m.
During the month of October, The Matthews will be hosting a pottery and sculpture exhibit, “Fired UP,” featuring several local Black Hills potters and sculptors. 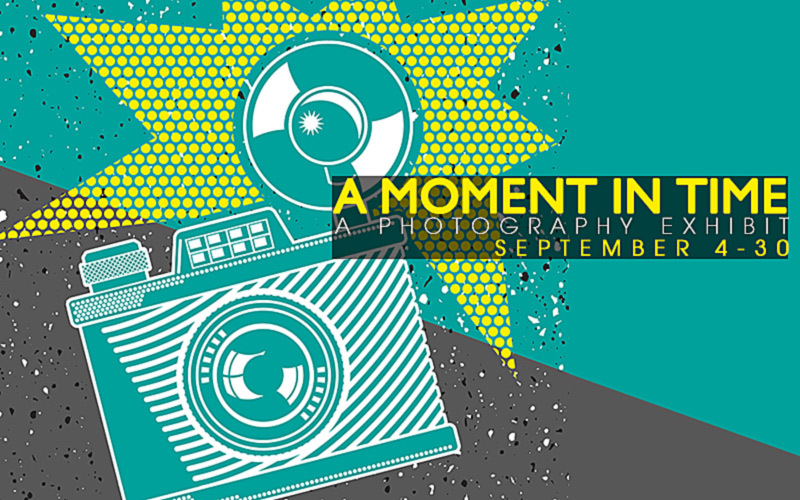 The show will run October 3-31 and be open to the public during the gallery’s business hours, Mon. – Sat., 10:00 a.m. to 5:00 p.m.